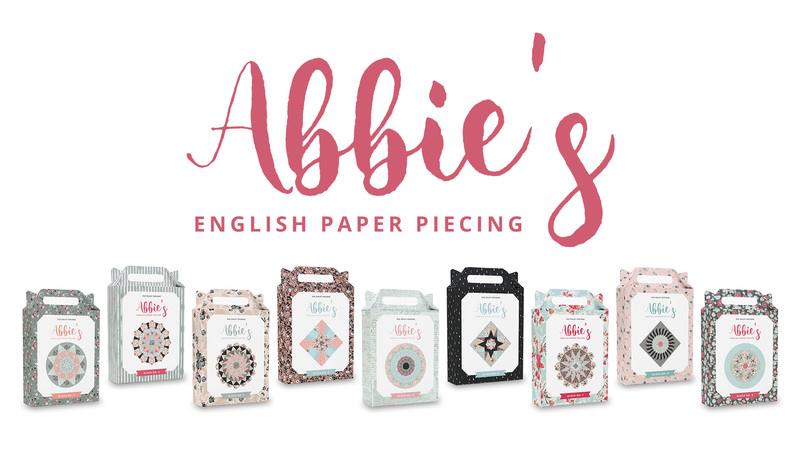 Abbie’s English Paper Piecing packs are new, limited edition English Paper Piecing blocks that I have designed to accompany my new fabric collection, Abbie. Each block is unique, and the shapes and templates are exclusive to these packs. Each block is designed to fit on an 18” background. You can make several blocks and make a quilt, a runner, or perhaps just one as a mini quilt. The end result is completely up to you. I encourage you to be creative and explore the possibilities with these blocks. Included in each pack are papers, templates and instructions to make a 9 patch quilt in case you need an end project to work to. 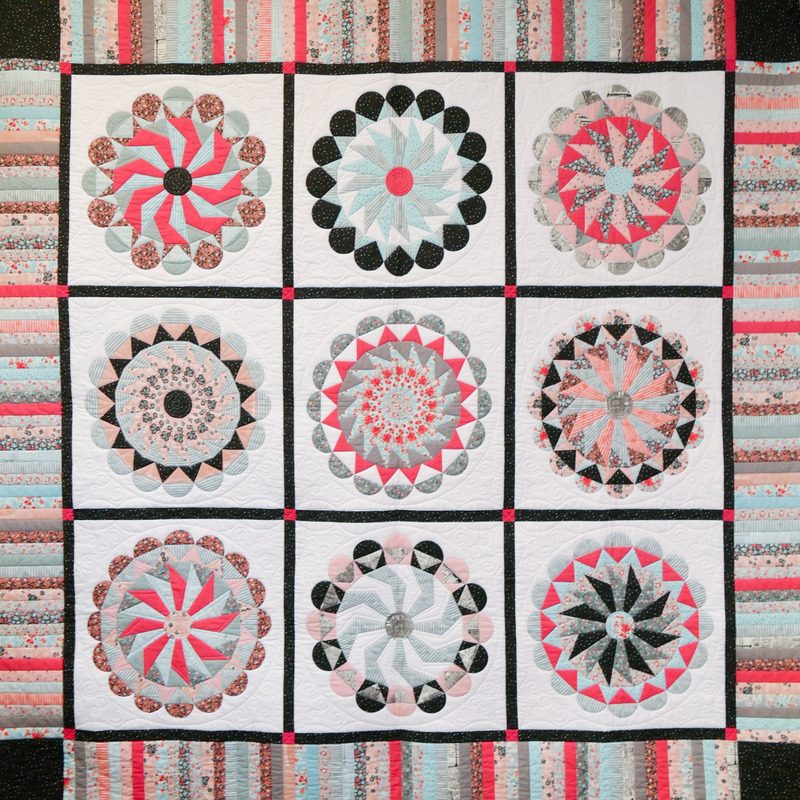 The look of your quilt will differ depending on which block you choose! The below quilt is made using Pack 3. Isn’t it great how each block looks different by changing up the fabric placement. You could also use multiple packs and alternate between different blocks. 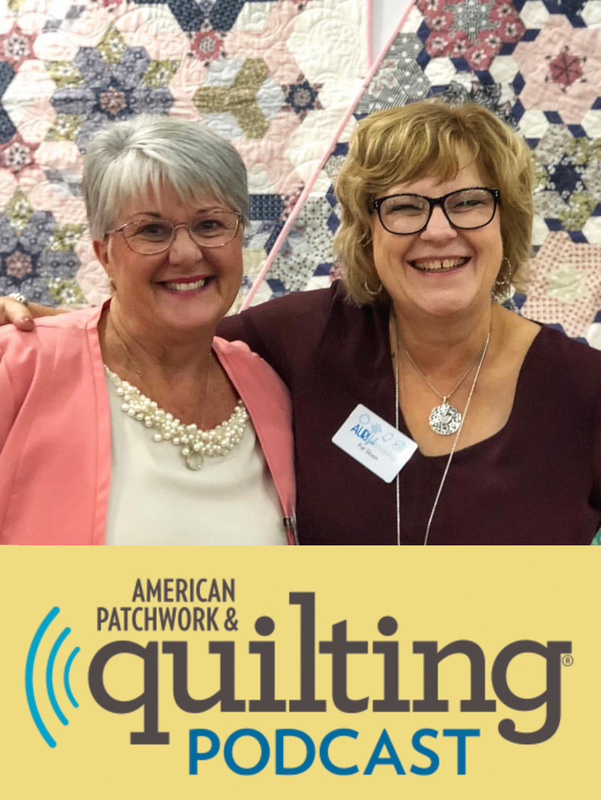 If choosing to make the quilt pattern provided, you will have be left with a piece of 1” sashed strips from creating the outer border. 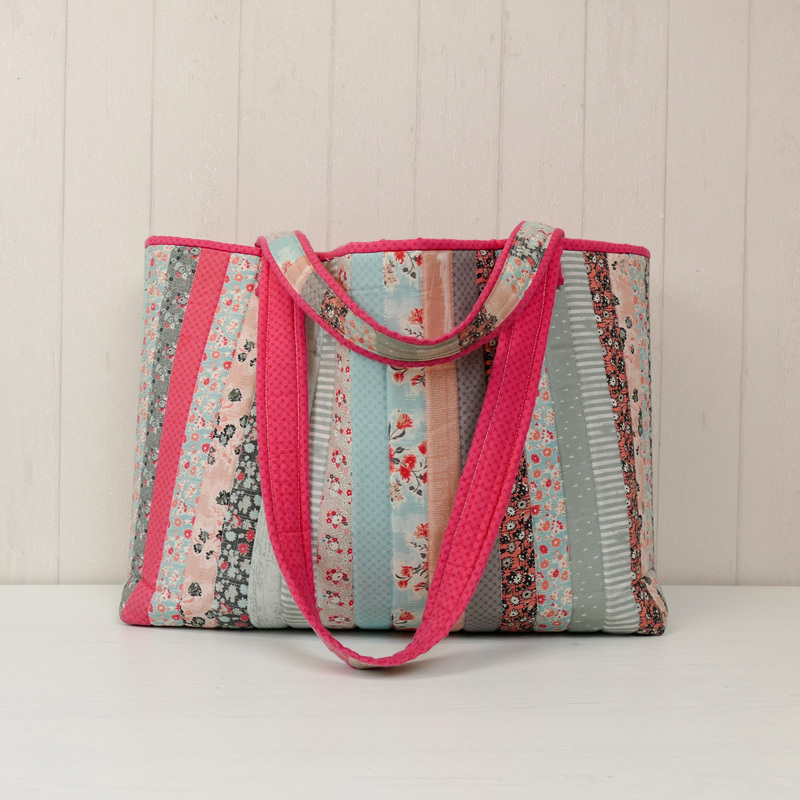 This can be made in to many things – a cushion, runner, bag, make-up pouch, for example. You could cross cut it in to 2” strips and use for a scrappy binding on another project. 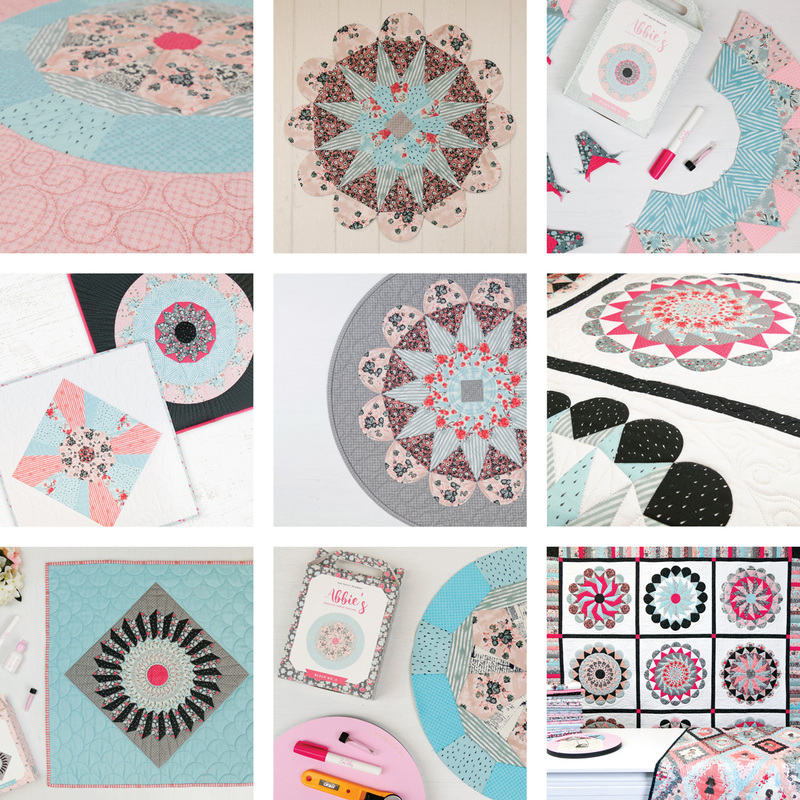 While I have made my Abbie’s EPP blocks with my collection Abbie, these will look fantastic no matter what fabrics you use. These blocks are perfect for experimenting with fabric placement and fussy cutting. If you are working with these packs I’d love to see your creations! 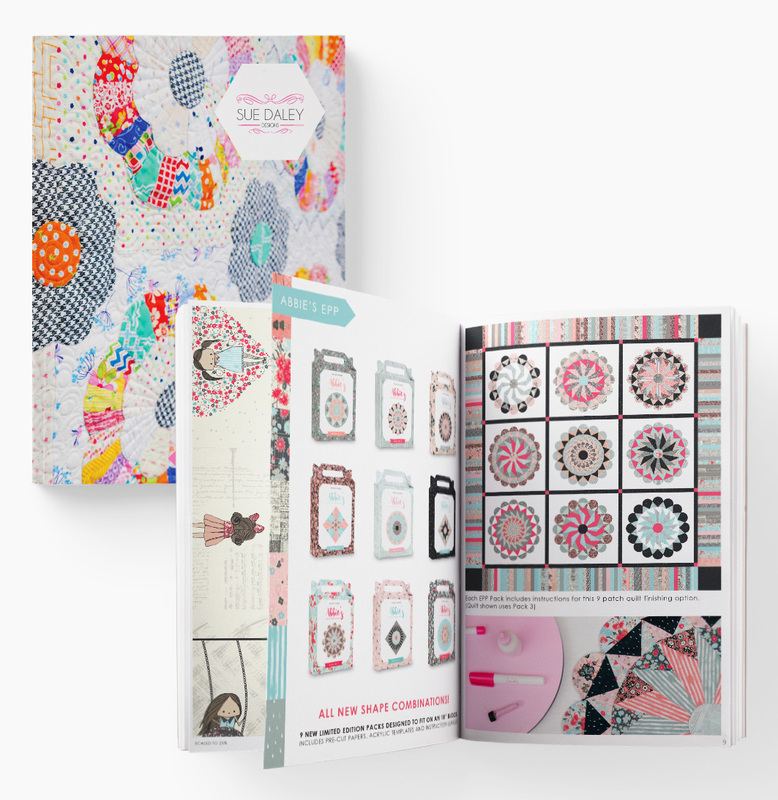 If sharing on social media please be sure to tag me and use the #suedaleydesigns #abbiesenglishpaperpiecing hashtags.